This is 12 Ga. Hornady Zombie Max 2 3/4" 8 Pellet 00 Z-Shot Buckshot Ammo. 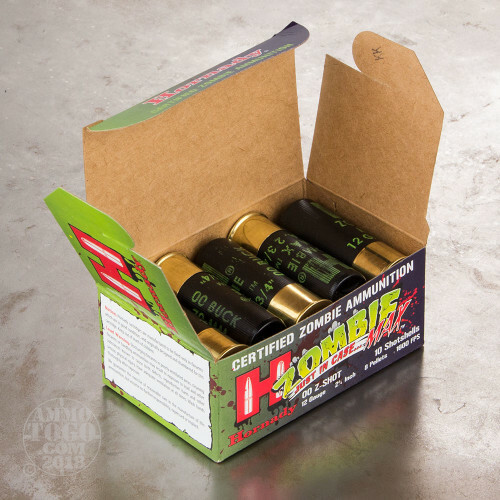 This is Hornady Certified Zombie Ammunition. Destroy their brains before they try to eat yours! 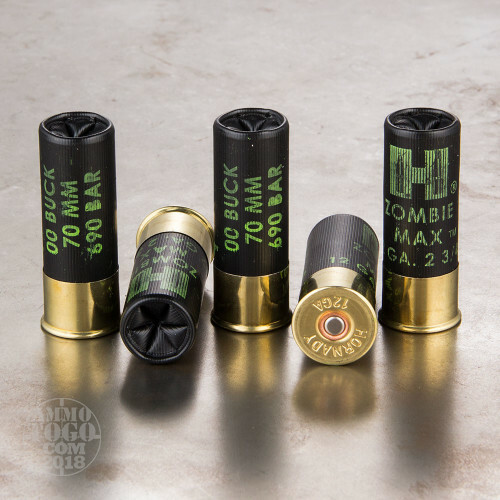 This load delivers a velocity of 1,600 fps with 00 buckshot. 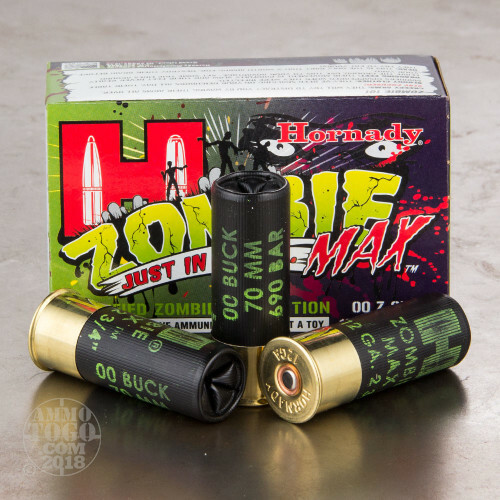 This ammo is packed in 10rd. boxes. 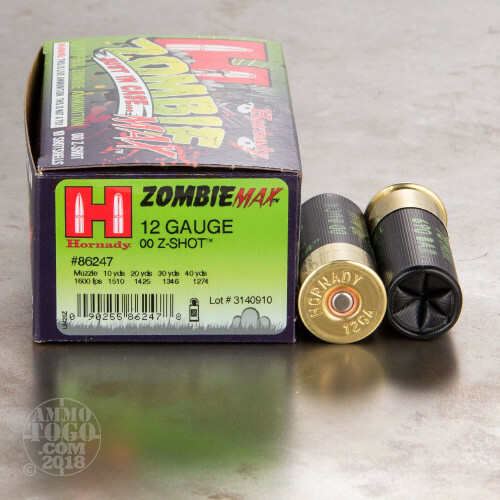 I know I know there are no Zombies or never will be but just to have them as a conversation piece so why not great idea may never even shoot them I use PDX1 I will leave mine on my desk so people can see and comment. This ammo works well. Decent grouping. For me though, not really worth the price when there is equal performance with less cost out there.